Some women have so much makeup that they probably need many drawers to put them in, but putting your makeup in drawers does not get to be appealing enough. You should be able to find the stuff that you want, instead of looking inside all the bags/drawers. With shadows, sprays, powders, lipsticks, gels, polishes and what not, the makeup collection can be huge, and even a modest collection can get out of hand if you are not organized. Organizing your makeup can take a while, but when it is done, you will feel so much better. It will also enable you to throw away the products that have expired, or you do not need anymore. So if you also have a large collection of makeup getting to be organized, here are some ideas for you. Tabulating your makeup at home is one thing and then taking it along with you when you are traveling is another. It is better, if you keep a makeup bag that is specifically designed to keep your makeup products. Whether you are enjoying a night away from home or mobilizing a picnic trip with your children, you will end up digging through your purse for something. There is no point unloading the entire purse to find that lip liner or mascara because it is maddening, especially when you are in a hurry. You should start thinking in regards to the best purse organizer for makeup and accessories, so your trip away from home is not spent finding and putting back those false eyelashes. Empty glasses and cups will always be an easy and convenient place to put your makeup in. These glasses can be your old water set or can be some decorative pieces. If you want to make your glasses look exquisite, you can paint them with water paint or some other kind of paints. If there are no glasses available, you can always use mason jars and mount them on a plank of wood and onto your wall. This aforementioned idea will be handy, especially if your dressing table does not have enough space on it. If you like the smell of coffee, fill these lasses with coffee beans. You will enjoy the coffee smell, and they will hold your brushes in an upright alluring position. These glasses will be useful in storing your different types of blushes, eyeliners, and mascara. While putting your lip glosses in a jar seems like a reasonable solution, a better way to plot your lip shades would be; by putting them in a test tube rack. You may not have a test tube rack lying around in your house, but it does not mean you cannot get creative with your storage in the bathroom. Forage your house and all the local antique stores, thrift shops and estate sales, and you will find something resembling a test tube rack. This rack will be the best place to put your brushes, lipsticks and nail files in. All your stuff will remain neat and organized, and you can pick them up in a jiffy whenever you need to. If you have a lot of nail polishes, put them on a Lazy Susan! Display it on your countertop to add some color, or place it somewhere else. Either way, you will not have any problem finding your favorite nail paint. Who knew that sushi mats could only come in handy for making sushi? Get creative and intrigue a new orchestrater for your makeup brushes. There are unambiguous types of blushes available now, each one for your eye-brows, your lashes, cheeks, and eyes, that it can be ominous to keep track of them all, as they can go missing easily. Take an old sushi mat and fix some elastic in between the sticks. This way you can place the brushes separately. This mat will come handy while you are traveling. This is another solution that is similar using glasses/jars, except these carriers will be made of plastic. If you have any old plastic water bottles lying around, you can make them useful. Instead of throwing the bottles away, just cut them from the middle, and orchestrates the transformation of them into cool storage pots. You can either put your eyeshadows in them or your false eyelashes. If you get to have indubitable bottles of different colors, then you can use them and bring those colors to your dressing table. If you do not have enough space on your counter, or you don’t have a counter at all, and it is just a huge mirror on the wall, you should get a pocket shoe organizer. No counter space, no problem because now all your lipsticks, eye pallets will go in those pockets on the shoe organizer. Hang it bathroom door or closet, and use your makeup products as you need them. There are many inexpensive shoe organizers available in the market so you can get one easily. There will be more pockets in it than you will probably need. Organize your makeup with these creative ideas and make your life easier! Keep calm and curl on. When I was 15 and rummaging through my mother’s vanity, I found an odd-looking contraption that turned out to be an eyelash curler. I immediately starting using it to make my eyelashes pop. Fast-forward a decade later and I use an eyelash curler regularly, but I'm not at all sure that I'm using it properly. How long am I supposed to squeeze my lashes? Do I use it before or after applying mascara? Does it make a difference if I spend $10 or $25 on one? Is it OK to use one every day—or have I been inadvertently damaging my lashes all this time? Despite their scary appearance, eyelash curlers aren’t dangerous—but they do need to be used the correct way so you don't accidentally pull out lashes or pinch your eyelid (ouch!). I spoke with makeup artists Andrew Colvin and Carly Giglio, Stila Cosmetics manager of pro artistry, to get the lowdown on all the mistakes you could possibly make with an eyelash curler and how to stop them. 1. You’re not making eyelash curling one of your first steps. 2. You’re not using a good quality curler. If you plan on curling your eyelashes, you want to use the best tools possible. Stay away from curlers that have a slippery grip, as they can get caught on your eyelashes and pull them out. The KISS i-ENVY Professional 360 Flawless Lash Curler is the MVP for both our experts. It has a matte finish, which Colvin says gives a better grip than curlers with a smooth finish. Giglio likes this eyelash curler because “it seems to fit the curve of the lash line perfectly while giving a smooth curl.” It can grab the width of the entire lash line, she explains, whereas some others are more curved and they don’t reach as many lashes. If you're looking for a slightly more budget-friendly option, another eyelash curler that our experts recommend is Ardell Precision Eyelash Curler. 3. You’re not holding the eyelash curler correctly. Place your thumb and index fingers in the designated grip holes, then open the curler wide enough for your top lashes to fit between the rubber cushion and metal top, Giglio says. Get as close to your eyelash roots as you possibly can without touching the skin. Tightly squeeze and close the curler onto lashes. 4. You’re not using proper technique. Colvin recommends pumping your curler four to eight times at the root, then pumping up along the lashes to reach the tips for a final curl. “This gives a ‘curve’ and less of a ‘crimp’ that pumping the lashes [a number of times] in the same spot would result in,” he says. In other words, a crimp would result in the eyelashes getting bent into an L shape rather than a gentle curve. How long should you hold the curler on your lashes? Giglio recommends clamping down and holding tight for about five seconds. 5. You’re applying too much force. Slow and steady is the name of the game. Squeeze the curler gently instead of pulling your lashes outward or crimping, says Colvin. If you have a good lash curler, you don’t need to apply a lot of force. Squeezing too vigorously can break off lashes or pull them out. 6. You’re not heating your eyelash curler. Heating your eyelash curler will help lock in the curl. You can add heat to your eyelash curler prior to curling by holding a blow-dryer close to it for a few seconds. Of course, be sure to blow on the metal curler before applying to lashes to avoid burning yourself! This trick also works if you have coarse lashes that won't curl easily. Another option is to use a heated eyelash curler. 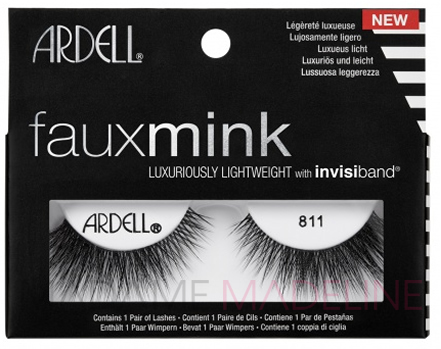 Colvin likes the Ardell Eyelash Heated Curler, a ceramic rod which he says is great for styling coarse lashes. 7. You’re applying mascara before curling your eyelashes. Experts say this is probably one of the most common mistakes you can make when using an eyelash curler. Instead of giving yourself more volume or lift, mascara can make lashes sticky and possibly get pulled out by the curler, Giglio explains. Applying mascara after curling can also help hold the lashes in place, and a good curling and volumizing mascara will help maximize your curl. She swears by Ardell Splash Party Waterproof Mascara Noir which has a lightweight formula that won’t weigh the shape down created by the eyelash curler. 8. You’re forgetting to curl those hard-to-reach eyelashes. Some eyelashes will be harder to reach than others. Instead of trying to squeeze them all at once, Colvin recommends using also a mini lash curler for getting those hard-to-reach lashes on the corners. He likes JAPONESQUE Heated Mini Lash Curler and Giglio is a fan of the Lash Star Individual Lash Curler, $24, which she uses for those tricky lashes that don’t fit into the grip of the regular curler. 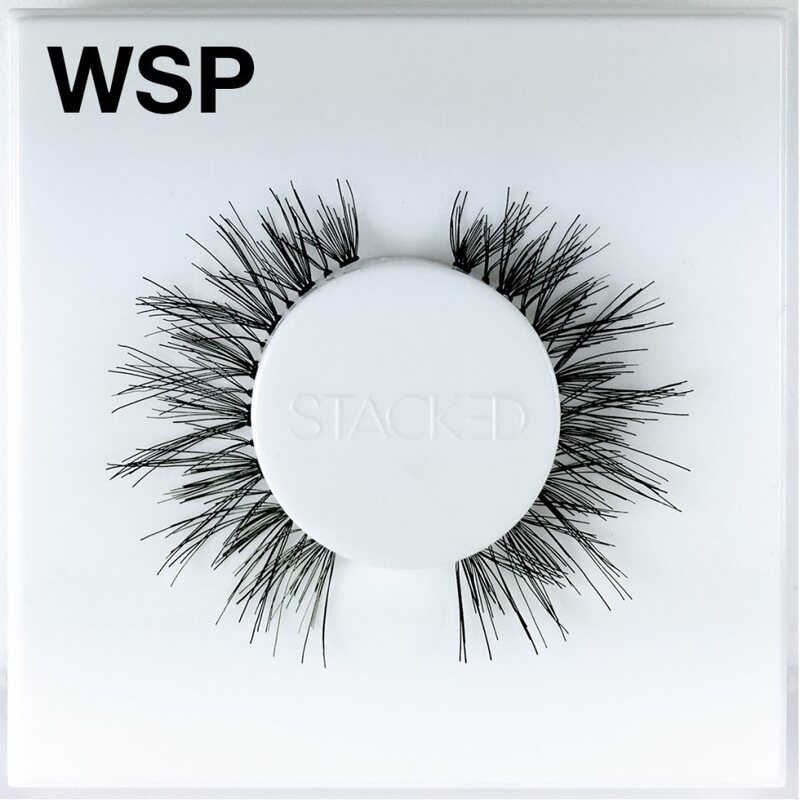 “I mainly use these on the lashes towards the inner corner and outer corner of the eye,” she says. 9. You’re using a dirty eyelash curler. All makeup tools need to be cleaned regularly, so not cleaning your eyelash curler is a big no-no. Using one coated in dried, crusted mascara can result in damaged lashes or styes, Colvin says. He recommends cleaning the rubber cushion and metal once every two months with a makeup wipe. For a deeper clean, you can wash it with dish soap and set out to dry overnight. 10. You’re using an old rubber or silicone insert. Replace the rubber cushion on your eyelash curler once it starts to wear down, which tends to happen about every three months, depending on how often you use it, Giglio says. Using a dried-out crusty insert won’t give you the best possible curl. Pro tip: Swap out rubber inserts for silicone ones, which Colvin says last longer. He recommends silicone inserts from brands like Surratt, Kevyn Aucoin, Shiseido, and MAC. 11. You’re applying fake strip lashes before curling your eyelashes. Put your fake lashes on after you've done your curling and you won’t have to worry about the pressure indenting your falsies. However, if you have semi-permanent lash extensions, Colvin recommends staying away from your eyelash curler entirely, as you won’t get the same degree of curve. “The [extensions] get indented a lot more under the pressure of the curler than the natural lash hairs,” he says. “This leaves you with two different rows of lashes.” Probably not the look you're going for! 12. You’re curling your eyelashes right after a lash lift or keratin treatment. A lash lift is like a perm for your eyelashes, and it creates an upward shape that you’d get from a really good mechanical curler. Lash lifts should last six to eight weeks, Giglio says, but notes the duration will depend on your individual lashes. "These treatments are good for people who can’t use a curler because their eyelashes are too short or straight," she explains. However, if you're able to use an eyelash curler and want to do so following a lash lift, wait until "you start to see the curls not be as heavy as they first were," which may be the "last one or two weeks of the treatment," she says. The same caution applies to keratin treatments for eyelashes, also known as keratin lash lifts. "A keratin lash lift also lifts and curls, but it is more long-wearing and makes your eyelashes even fuller (think of it like a keratin treatment for your hair)," explains Giglio. Keratin lash lifts should last 8 to 12 weeks. You should only use your eyelash curler toward the end of the treatment, and be gentle, pumping your lashes with care. 13. You’re worried that using your eyelash curler every day will cause your eyelashes to fall out. As long as you're using a clean curler and curling instead of crimping, experts say it’s totally safe to use your eyelash curler every single day.